This question really hit me. As my regular readers know, I’ve had some major disruptions in my life over the past year. They’ve been prompting lots of personal growth, but they also come with the temptation to hide from that growth. There are days when the last thing I want to do is keep going. I want to curl up small in a nest of fluffy blankets and let the whole world go by without noticing me. One of the main reasons God lets us go through trials is to give us opportunities for growth. In scripture, this is often refereed to as a testing or refining process designed to make us more like God. He doesn’t expect us to fully become like Him in this life. But He does want us to keep growing toward that goal, not shrinking away. When I say we shouldn’t be “shrinking” I don’t mean that we have to be big, excessively confident, loud, or something of that sort. God can use people like that, sure, but He also uses the quiet, small, “little people.” He works equally well with meek Moses and brash Peter. Do you ever feel like God just loves you because that’s something He does for everyone, not because He actually likes you? We’re going to talk about agape and phileo, since those are the two used in the Bible. Together, agape and the root word agapao appear a total of 263 times in the New Testament. Philos and the closely related word phileo are used only 54 times, though it also appears in several compound words like philadelphos (brotherly love) and philostorgos (family love). It would be pretty easy to look at these numbers and say agape is the most important kind of love in the Bible. And considering it’s the word used in the phrase, “God is love,” I’d say that’s a pretty good description. It’s also the word for love that’s defined in 1 Corinthians 13. There isn’t any other word gets such a thorough analysis in scripture. But maybe our emphasis on agape, even though it’s correct, comes at the expense of a good understanding of another important word, phileo. If God says He hates something, is it a thing we should be doing in the church? Of course not! Those who love God do things that are pleasing in His sight (1 John 3:22). We don’t always do that perfectly, but it’s supposed to be our goal. And when we miss the mark, we repent and change and try again. One of the things the Lord hates and considers an abomination is “he who sows discord among brothers” (Prov. 6:19, all scriptures in this post are WEB version). In Hebrew, “sow” is shalach (H7971), and it means to send out or shoot forth, as in a growing plant putting out leaves. God hates it when someone plants and spreads strife or contention (medan, H4090) among those who are metaphorical or literal family (ach, H251). So what does it say about us as a church body when there are divisions, disagreements, and rifts in our relationships and beliefs? In some cases, we can disagree on things that are open to interpretation and still fellowship peaceably, which is the right thing to do (Rom. 14). 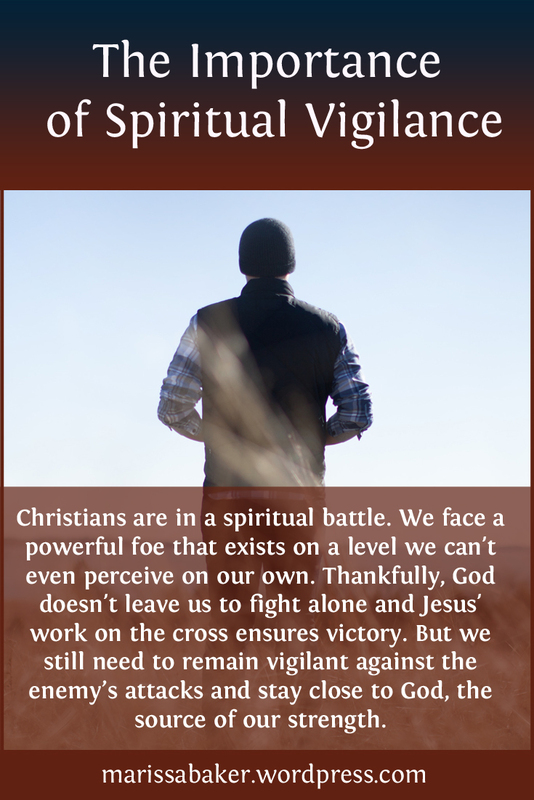 But all too often, when people in the churches disagree they start attacking or ignoring each other rather than working through their issues, resolving doctrinal conflicts, and seeking peace and unity as God intends. The greatest commandments are to love God with all your heart, mind, soul, and strength and to love your neighbor as yourself. In contrast, strife is stirred up by hatred, not love (Prov. 10:12). And the people who spread strife are called perverse, lovers of disobedience, greedy, and angry (Prov. 16:28; 17:19; 28:25; 29:22). Those aren’t the sort of things God wants to see when He looks at the people in His chruch. More than half the things in this “works of the flesh” list have to do with discord and disunity. In contrast, the fruit of the Spirit is things like “love, joy, peace, patience, kindness, goodness, faith, gentleness, and self-control” (Gal. 5:22-23). Those are the things that stop arguments before they even start. Scriptures make it quite clear that God puts a high value on peace. Though He warns us that following Him will set people against you (Matt. 10:34-36; John 15:18-21), that sort of strife should only happen between you and the world. 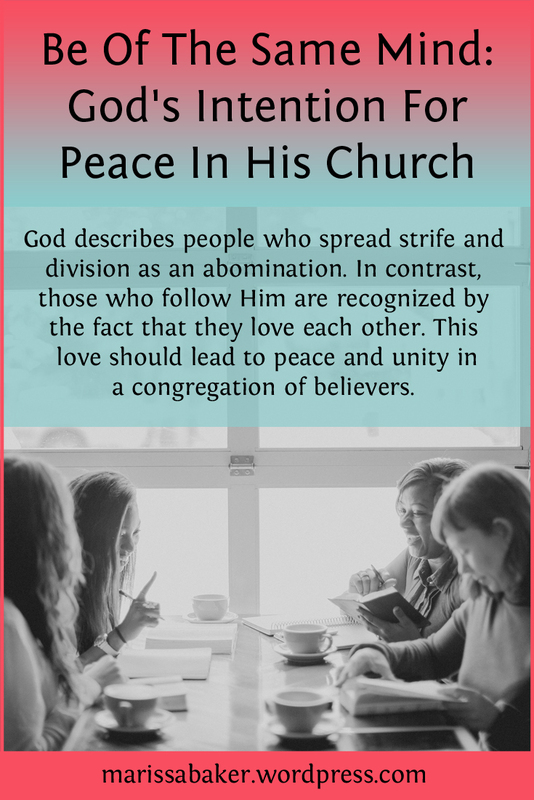 There’s supposed to be peace in the church among God’s people. 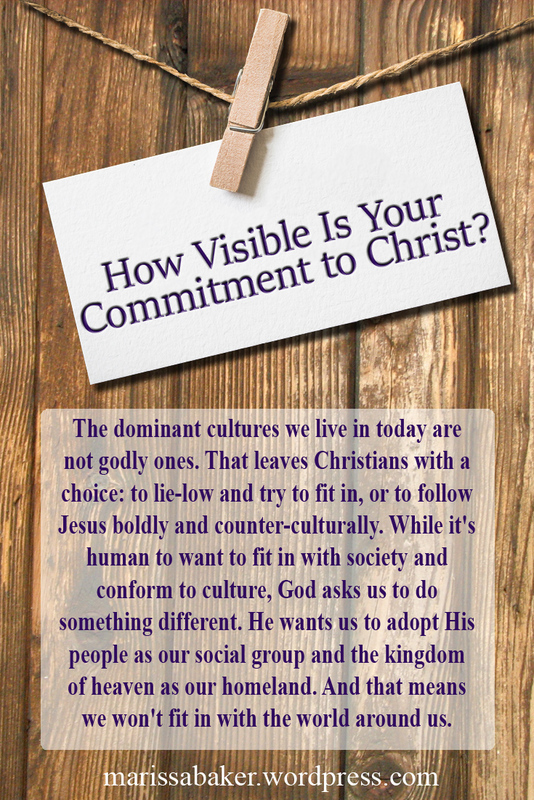 How Visible Is Your Commitment to Christ? The culture we live in is not a godly one. None of us can say we live in a “Christian nation.” While we may share some values with the dominant culture(s), living the way Jesus did involves a very different lifestyle than the ones that are most socially acceptable. That leaves Christians with a choice. We can either lie-low and try to fit in as much as we can, or we can embrace the fact that a commitment to living like Christ involves living counter-culturally. The later is hard. But if we want to become part of God’s family, we have to become like Him instead of staying like the world. It’s not something we like to think about, but the scriptures indicate that not everyone who thinks they’re following Jesus will actually end up in His kingdom. One of these passages is found in Jesus’ sermon on the mount. It’s a serious, scary warning that we do well to pay attention to. We learn several important things from this passage. Firstly, it’s possible to think you’re following Jesus and still not be in a relationship with Him. Whether or not He knows you is more important than the showy things you do in His name. 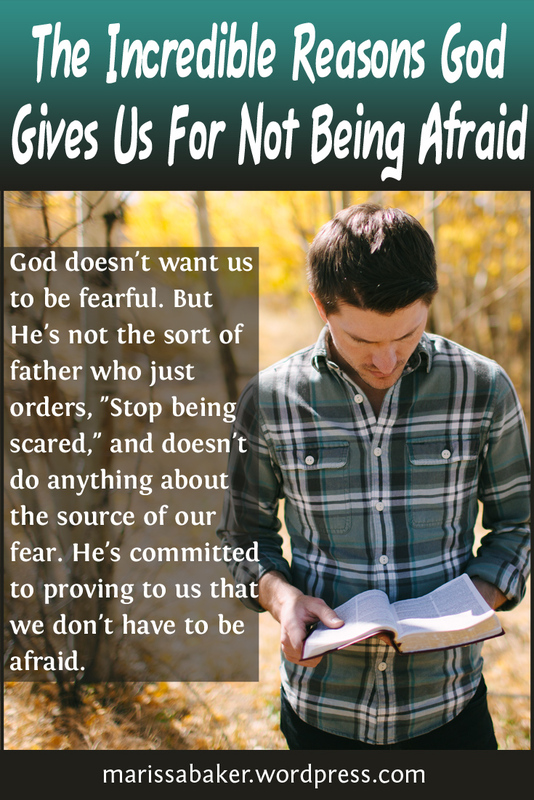 It’s all well and good to say, “God doesn’t want you to be afraid,” like we did in last week’s post. But that doesn’t actually help much with getting rid of our fear. Even knowing He’s patient with our fearfulness doesn’t take the fear away. The number one reason we have for living without fear is that God Himself is with us. And not just as a church or a group of people. Individuals can also receive this promise, as did Isaac (Gen. 26:24), Joshua (Josh. 1:9), David (Ps. 23:4), Solomon (1 Chr. 28:20), and Jeremiah (Jer. 1:8).